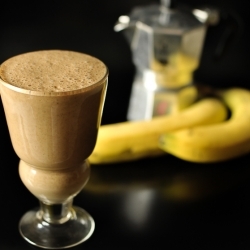 30 minutes before making this smoothie, place coffee in a shallow pan and put in the freezer. Slice banana and put it in the freezer as well. 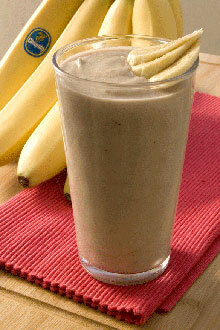 After your ingredients have chilled, combine the coffee, banana and sugar and put it in the blender. Blend until smooth, then add the yogurt, and the drop of vanilla extract. 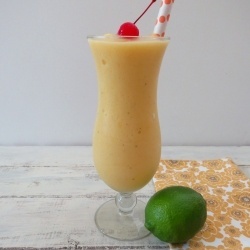 Grab all the ingredients, drop the banana in the blender first, then the pineapple, then the ice cubes, and finally the pineapple or apple juice. Blend until smooth, and top it off with a cherry. 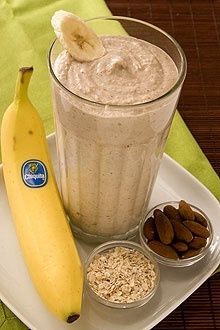 *The right smoothie for a powered and balanced breakfast. Drink this smoothie before your exercise routines and you’ll have more energy than ever. Pour all of these ingredients in a blender pouring the ice last, and blend on high for 30 seconds until smooth. Pour all the ingredients in a blender pouring the ice cubes last, blend on high for 30 seconds until smooth.